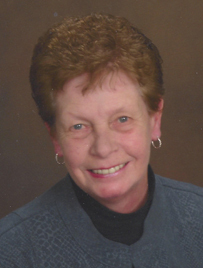 Marie Grippi, 73, passed away peacefully at home Monday after a year-long illness surrounded by her loving family. She was a devoted wife for over fifty years to her husband Richard and a loving mother to four children. Born to the late Anthony and Rose (Lavelle) DeMario, she resided in South Scranton her entire life. Marie graduated from South Scranton Catholic High School in 1963. She was a life-long member of St. John the Evangelist Church, now St. Paul of the Cross Parish at Sacred Hearts of Jesus and Mary Church. Her passions included gardening, preparing Sunday dinner for her family, keeping a beautiful home, and following the New York Yankees. For over forty years she enjoyed summer vacations in Seaside Heights, NJ. An occasional trip to Atlantic City, NJ was not out of the question. Marie lived a life of faith and devotion to God as an active member of the church. She was courageous and caring, a genuine example of someone who enjoyed giving to others. She was the strength and foundation of the Grippi family who will love and miss their Mom forever. Marie is survived by her three sons, Richard and Paul, Dunmore; Christopher and his wife Anna, Scranton; and a daughter Janet, Hatfield, Pa/Montgomery County; four grandchildren, Richard, Lauren, and Chris's new born twins Elijah and Benjamin. She is also survived by a brother Tony DeMario and wife Elayne, Coatesville, Pa, along with nieces, nephews, and cousins. The family would like to extend their gratitude to the doctors and nurses of Geisinger CMC Cancer Center and Hospice of the Sacred Heart for the extraordinary care they provided Marie through her illness. A Mass of Christian Burial will be Saturday at 9 a.m. at St. Paul of the Cross Parish at Sacred Hearts of Jesus and Mary Church 1217 Prospect Ave, Scranton PA 18505, celebrated by Rev. Scott Sterowski, pastor. Family and friends may call from 4-8 p.m. on Friday at Neil Regan Funeral Home, 1900 Pittston Ave, Scranton PA 18505.